The fourth installment of the Daniel Craig Bond reboot fails to deliver. 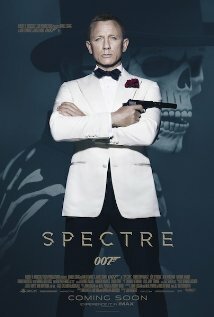 After the fantastic first installment, based on the last Ian Fleming James Bond novel never made into a serious film, the lackluster sequel, and the excellent origin story in the third installment, expectations were high for the return of Spectre and James Bond’s arch enemy, Ernst Stavro Blofeld. Well, mine at least weren’t met. After a throw away opening act that does manage to do some plot development, and a similarly throw away “Bond Girl” appearance by the beautiful Monica Bellucci (Persephone in the Matrix Reloaded), the plot is worked out very deliberately. There are call backs to the previous films that, since I didn’t rewatch them recently, sparked only vague memories for me. The solution to the core mystery, “who is Blofeld”, turns out to be a groaner. There is some decent body horror torture, but the unfortunate casting of Christopher Waltz as Blofeld hurts it. I wish the casting agent had cast someone more like Phillip Seymour Hoffman, who single-handedly turned around (for one installment, at least) the failing Mission Impossible franchise. The scene fails to live up to the torture chair scene in the first film. Bond’s main love interest is well played by Lea Seydoux, and evil henchman extraordinaire “Mr. Hinx”, played by a nigh unrecognizable Dave “Drax” Bautista, leaves his own trail of carnage through the film. No one part of this film is terrible. Rather, its unsatisfactoriness stems from its incoherence and its blatant attempts to set up a sequel. I like Ralph Finnes, but M is not supposed to be an action hero, nor is Moneypenny. Either of those ideas might be fine in a spin off, but not in a film where James is the lead character. I do like what they did with Q, and Ben “Paddington” Whishaw did a good job with the character. With Craig saying he will never again reprise the role of Bond, is James Bond dead, or will we have to suffer through another reboot? This entry was posted in movies and tagged ben whishaw, christopher waltz, daniel craig, dave bautista, ernst stavro blofeld, ian fleming, james bond, lea seydoux, moneypenny, monica bellucci, movie, mr hinx, ralph finnes, review, spectre. Bookmark the permalink.